Time to take stock. The shot in Sarajevo 100 years ago inspires narratives of 19-year old Gavrilo Princip killing the successor to the throne of an empire and his pregnant wife as the event unleashing mutual mass murder (INYT, FAZ 28-29 June 2014). Not the empire annexing Bosnia-Herzegovina on October 6, 1908 (Art. 25 of the 1878 Berlin Congress of “great powers”). Maybe the inhabitants did not like it? ISIS (Islamic State of Iraq and the Levant, alternatively translated as Islamic State of Iraq and Syria and Islamic State of Iraq and al-Sham) comes up. TIME 30 June: The End of Iraq. Maybe Iraq–that highly artificial English colonial entity encasing Shia Arabs, Sunni Arabs and Sunni Kurds–never started? Like its French colonial neighbor Syria–adding Alawite Arabs, Christians, Jews and others? Ever heard about Sykes-Picot and their czarist Russian allies? Can such crimes just pass, with no counter-forces? Watch out, a key point about ISIS –now comprising a major part of IS–is as a bridge over the English-French colonial divide, in favor of a Sunni Arab caliphate. Like it or not, these are very strong forces from the past in the daylight of the present. The only surprise is that it came as a surprise to the US “intelligence community”. Scrap the CIA and mainstream historians, open for a dialectic understanding, common sense, maybe for some wisdom–scarce commodities. After all, what was the Tutsi revolt in the center of Africa about? Stopping genocide, yes–but also about bridging the imposed English-French colonial divide. And the imposed Rwanda-Congo divide. Watch out, Iraq-Iran. Maybe time has come for a Shia-Arab union across the old Ottoman-Persian border, down at the Arab-Persian Gulf? Nations, cultures, are stronger than territorial divides imposed by some empires–and they do not have to be Western. SSII-the Shia State of Iran-Iraq? KIIST–the Kurdistan from Iran-Iraq-Syria-Turkey? USA-West seems to learn nothing, let us hope for the Rest. Take Ukraine, at the border. 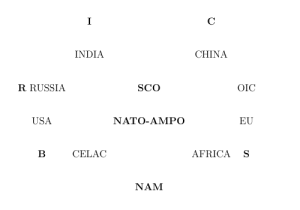 Two nations encased in one state will make any asymmetric formulas like a president from one of them leaning only on EU-NATO-USA, or only on EAU (Eurasian Union)-SCO (Shanghai Cooperation Organization)-Russia, a non-starter. There are Russians all over Ukraine, not only in Donetsk–and not many Ukrainians in Russia, including Crimea. Der Spiegel (23 June 2014) offers a more social explanation: with the emancipation of women the Soviet Union became feminist, matriarchal; time has come for Russian men to assert themselves as macho. That theory is also underlying the Yugoslav tragedies of the 1990s. But political federal solutions, leaning in both directions, with rotating or “biconsular” presidents, may come more easily than reversing machoism/machismo–maybe not only in Russia but also in Ukraine, also once a part of the same USSR-Union of Soviet Socialist Republics? Der Spiegel sociologizes a political problem; interesting, but maybe as useless as psychologizing it? Myanmar, Sri Lanka, Thailand. The tragic decline of a major source of peace: Buddhism, with Buddhist violence, even genocide, against Muslims; in Sri Lanka also against Tamils under the mahawansa doctrine that Sri Lanka was designated by the Lord Buddha as the home for Buddhism. Chosen People, Promised Land. But underlying that violent Buddhism is also the striving for national unity, and in all three cases the political solutions are along federal-confederal lines. After all, out of the Hapsburg empire came 12 states, today most of them in the European Union–between confederal and federal–legitimized exactly by the doctrine of national self-determination–why should that only apply to the West? The Korean peninsula-USA-Japan nexus. A US president could solve it: normalize North Korea with peace treaty and diplomatic relations instead of keeping it as a pretext for hawks in USA-Japan to prepare for war, and in the process making North Korea ever more pathological. These are bad spots, but most of the world is not that bad. 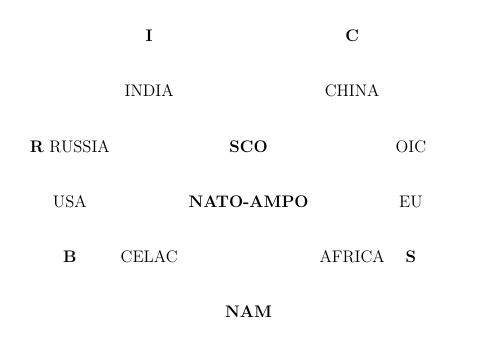 Take the eight poles in the Octagon World: clockwise Latin America-USA-Russia-India-China-OIC-EU-Africa. The first five + EU are well on the road to peace with mutual rights and obligations–if not always strong on equity–at the inter- and intra- states-provinces levels. Direct violence, similar to contagious diseases, is low. The OIC and Africa are more problematic, but probably on the way. But, inter-regional? More problematic, as for health, are structural violence and structural diseases–cardiovascular, cancers, mental disorders. Even mainstream media are today deeply concerned with structural violence, under the heading of inequality, staying away from the numbers dying (140,000/day from hunger and preventable-curable diseases, no money). Calling a country, region or the world peaceful with such atrocities of death and inequity being rampant is cultural violence. And we should not disregard the wars and threats emanating from three particularly aggressive states buoyed by Chosen People-Promised Land doctrines: we are thinking of USA, with its ties to Israel and to Japan every day inching closer to a status as potentially belligerent, revising A9 in favor of “collective self-defense”–with the USA. Hold up three sources of peace against that, both as absence of war and as equity (if not always so strong on harmony-reconciliation-resolution): the Islamic community, Eurasia, the Vatican. Very different they all contribute significantly to peace. The Islamic community, the umma, is in principle stateless, submitting to peace (“islam” stands for both). Eurasia, shaped by Russia-China, is a state system based on cooperation for mutual and equal benefit; in other words, equity. The Vatican of John XXIII, John Paul II, and Frances is a part of the state system, deeply committed to values of peace. Let these three peace forces blossom for amazing synergies! Editorials and articles originated on TMS may be freely reprinted, disseminated, translated and used as background material, provided *an acknowledgement and link to the source, TRANSCEND Media Service-TMS, is included. Thank you. This article originally appeared on Transcend Media Service (TMS) on 30 Jun 2014. Anticopyright: Editorials and articles originated on TMS may be freely reprinted, disseminated, translated and used as background material, provided an acknowledgement and link to the source, TMS: The World Right Now: A Mid-Year Report, is included. Thank you.